The Arthur is proud to be the home of original artworks by Natasha Bacca and Sarah Grew. Painted on galvanized steel these paintings are the newest visual addition to The Arthur. The paintings by Sarah Grew are about light, movement, and the glimpses we catch out of the corners of our eyes. We hung one of these paintings on every floor in the stairwell where they catch the changing light of the day. For more information on Sarah Grew and the metal paintings please click here. 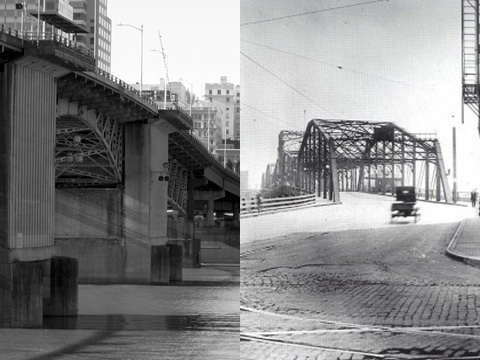 Our City – Then and Now is a photo based artwork the Arthur commissioned from artist Sarah Grew. It builds on the history of the Arthur itself by using archival photographs of Portland captured around 1912 as the Arthur was being built and juxtaposes them with photographs of similar scenes today. For more information about Our City – Then and Now, please click here. 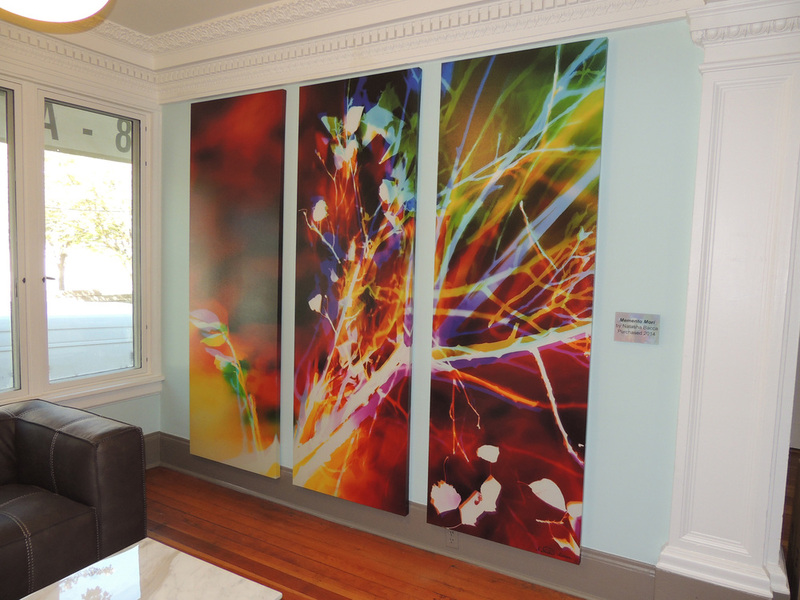 Natasha Bacca is an Oregon artist who has created her own process of painting with light onto photo-sensitized materials. Her piece, Momento Mori, was the first piece acquired for the Arthur and hangs in our lobby. For more information and images of Natasha Bacca's work please click here.